The Takyon series ESC from DJI are designed with the mini quad user in mind, they utilize a custom designed System on a chip (SOC) and modular board. These work together with advanced control algorithms to make the DJI Takyon series ESC an unbelievably fast and incredibly accurate motor control system. The new DJI Assistant 2 enables quick and intuitive configuration of various parameters and also allows for the updating of firmware, the process is almost effortless and will enable you to get flying as quickly as possible. OneShot125 and active breaking are now the standards in motor control systems; so of course DJI have included these into their Takyon series ESC. 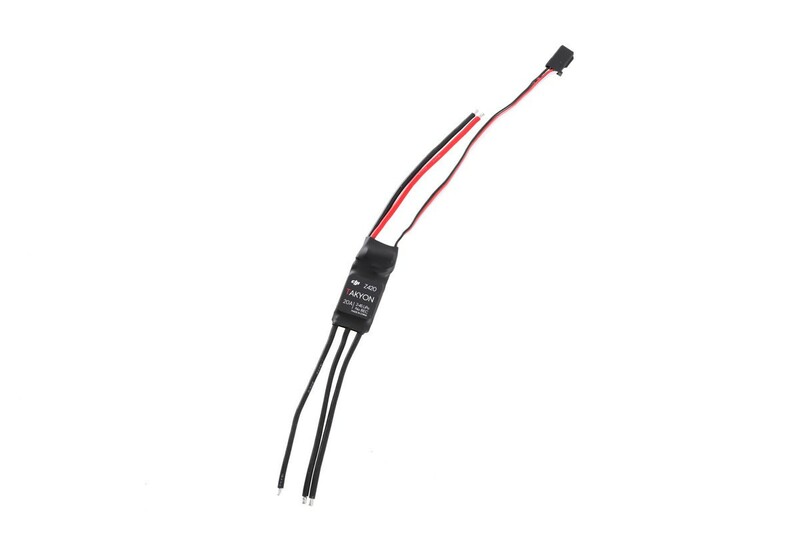 OneShot125 enables ultra fast communication between the flight controller and ESC at 600Hz, speeds that were previously unheard of. 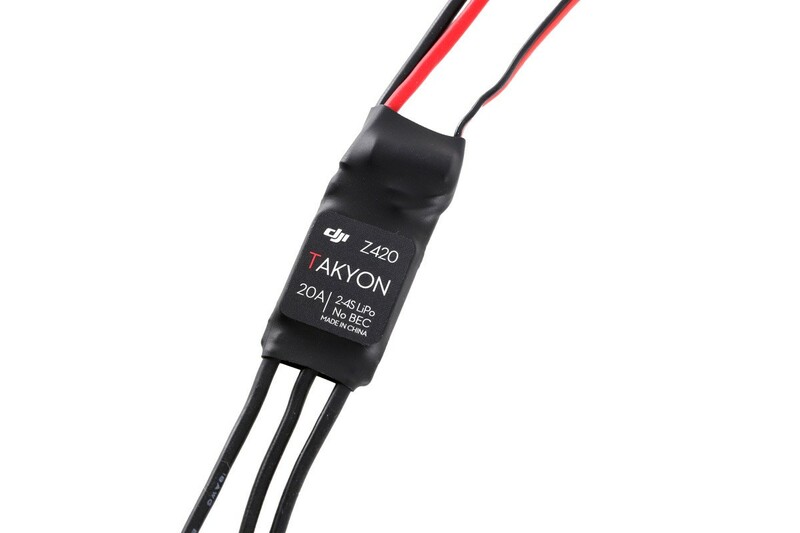 The Takyon series ESC also supports active breaking so that during flight the motor will react quicker to decreases in throttle level meaning that aircraft that use Takyon will maneuver with more precision and agility. Manually tuning to remove cogging and sync issues is now an issue of the past as the Takyon Series ESC uses complex flux observation and self adaptive control technologies to adapt its output to suit most motors. People who use and fly mini FPV race quads will know very well the stress of after a crash rushing to check that you haven’t stalled a motor and then worrying about whether the ESC is damaged. However, the Takyon series ESC will constantly check the motor and if it detects a stalled or locked motor will cut the power to it to eliminate any damage to the ESC. They will also know that configuring ESCs was a frustrating and often time consuming task, however once again DJI have found a solution to that problem, DJI Assistant 2 makes; changing motor timing, enabling OneShot125 or Active Breaking or specifying the throttle range a breeze and helps get you in the air faster.